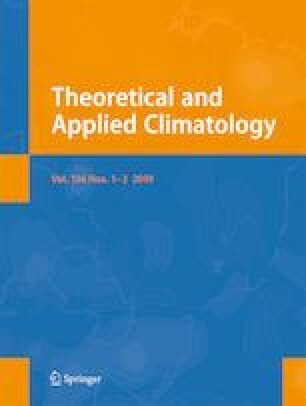 In this study, a quantitative assessment of observed aridity variations over the semiarid regions of India is performed for the period 1951–2005 using a dimensionless ratio of annual precipitation (P) and potential evapotranspiration (PET), estimated from five different observed gridded precipitation data sets. The climatological values and changes of this aridity index are found to be sensitive to the choice of the precipitation observations. An assessment of P/PET estimated using the ensemble mean precipitation shows an increase in aridity over several semiarid regions of India, despite the sensitivity of P/PET variations across individual precipitation data sets. Our results indicate that precipitation variations over the semiarid regions of India are outpacing the changes in potential evapotranspiration and, thereby, influencing aridity changes in a significant manner. Our results further reveal a 10% expansion in the area of the semiarid regions during recent decades relative to previous decades, thus highlighting the need for better adaptation strategies and mitigation planning for the semiarid regions in India. The sensitivity of aridity index to multiple PET data sets can be an additional source of uncertainty and will be addressed in a future study. The online version of this article ( https://doi.org/10.1007/s00704-018-2513-6) contains supplementary material, which is available to authorized users. The authors thank the Director, IITM for the support to carry out this research. IITM including CCCR is part of the Ministry of Earth Sciences, Government of India, New Delhi. The authors also acknowledge various data sets used in this study. This work was carried out under the Adaptation at Scale in Semi-Arid Regions (ASSAR) project. ASSAR is one of the five research programmes funded under the Collaborative Adaptation Research Initiative in Africa and Asia (CARIAA), with financial support from the UK Government’s Department for International Development (DfID) and the International Development Research Centre (IDRC), Canada. The views expressed in this work are those of the creators and do not necessarily represent those of DfID and IDRC or its Board of Governors.